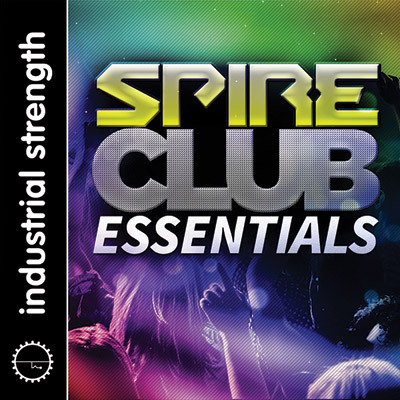 Industrial Strength Samples rolls out Spire Club Essentials, a searing set of modern club presets produced by Sounds Of Tomorrow for the incredible Spire soft synth. Designed exclusively for Spire users, this pack is armed with 32 Spire Presets to push the edges of any Club track. You’ll find all the deep Bass, towering Synths, grueling FX, and captivating Leads you hear in the demo. These versatile presets are designed to tweak to hell and back. Apply them again and again in EDM, Progressive, Electro, Hardstyle, Big Room, House, Trance, Rawstyle and most major Dance styles. Each preset was created with a passion for the hardest-hitting sounds of modern Club music by Sounds of Tomorrow’s brilliant Michael Moscoso. A prolific artist and sonic craftsman, with a dedication to authenticity, he once again crafts genre-bending sounds that connect with modern producers looking for hot club sounds to make there riff's come alive. This pack is part of a phenomenal series made by Sounds of Tomorrow for ISR. Check out Sounds of Tomorrow: EDM Spire for more ear-busting presets to bend across genres. Together, these two packs can slay some serious Spire damage. This multi-purpose preset collection covers all the essentials you need to get riffing, rocking and rattling the dance floor. Harness the powerful capabilities of Spire, and hear your tracks lift off. +You must own the latest copy of Spire to use this pack.